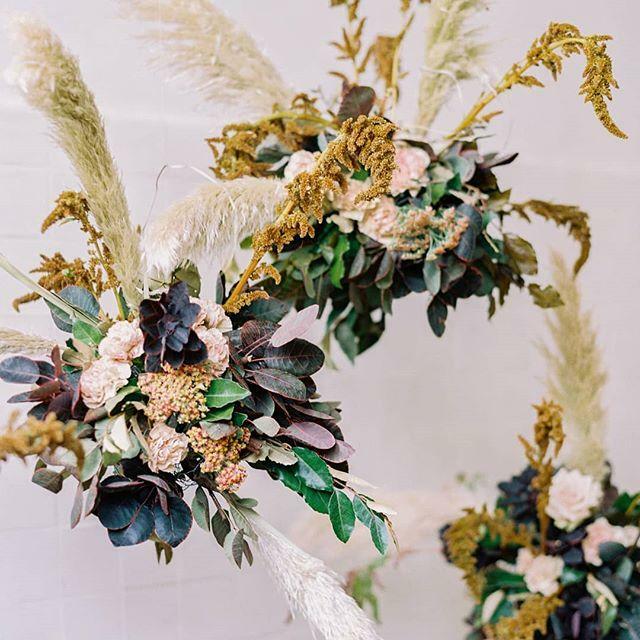 Dark and gold tone clusters suspended in the air by @pistil_and_stamen From our #styledsocial New Orleans planned and styled by @brooke.casey.weddings . Second editorial is up on the blog today! . . photo + video @monsoleilweddings . design @brooke.casey.weddings . florals @kimstarrwise . venue @ilmercatonola . gown @jennyyoonyc suit @stitchandtie . rings @aurosijewels . hair @alimvasquez . makeup @melissavaccaro . invites @paperrefinery . linen @lovestrucklinens . cake @chasingwang . catering @joelcatering . rentals @pv_rentals . production @ruffledblog . models @meghalicious_so_delicious @devinjgreco . wholesale flowers @fiftyflowers . tabletop calligraphy @writeprettyforme . . . . .